The goddess Persephone returns from the underworld. She wears a crown and is depicted partially risen from the earth. 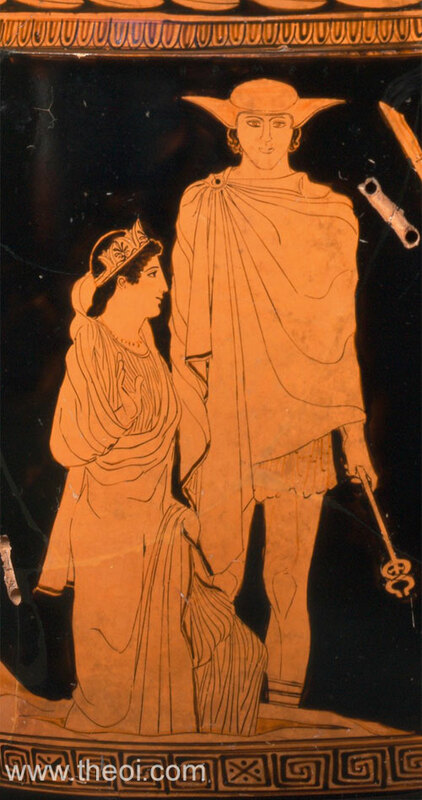 Hermes, standing beside her, wears a petasos cap and chlamys cloak, and holds a herald's wand (kerykeion) in his hand. 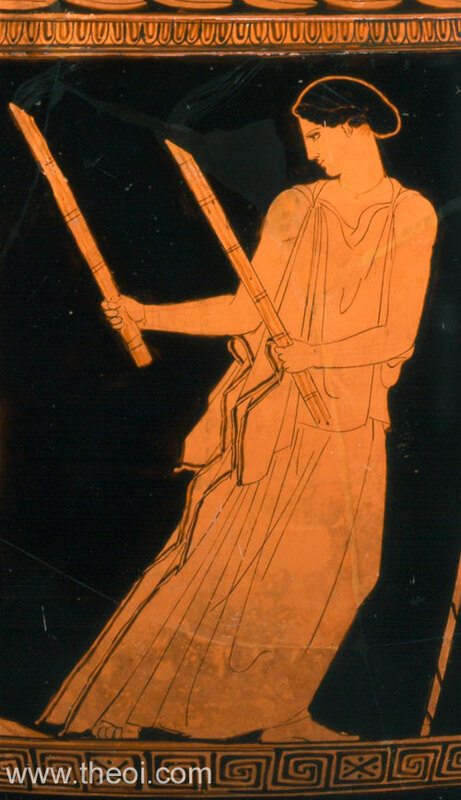 Hecate carries a pair of orches and gazes backwards over her shoulder at the goddess. 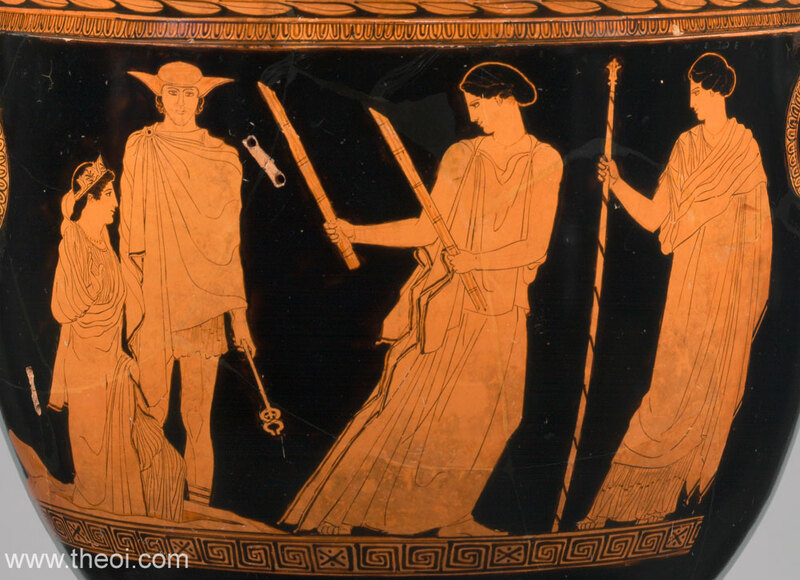 Demeter, on the far right, holds a royal sceptre. Detail of the goddess Hecate. Detail of Persephone and Hermes.